Yesterday, one of my readers messaged me inquiring about ETFs. I recall that in the beginning there was so much that I didn’t understand and wished someone would make easy for me. A lot of investment terms can be esoteric, but with the right resources this stuff can be as easy as it truly is. So what is an ETF, how does it benefit you, and which ETFs will I be investing in this year? I will address all of these questions in a straight forward way so that you can take advantage of this type of investment vehicle and integrate it into your portfolio. 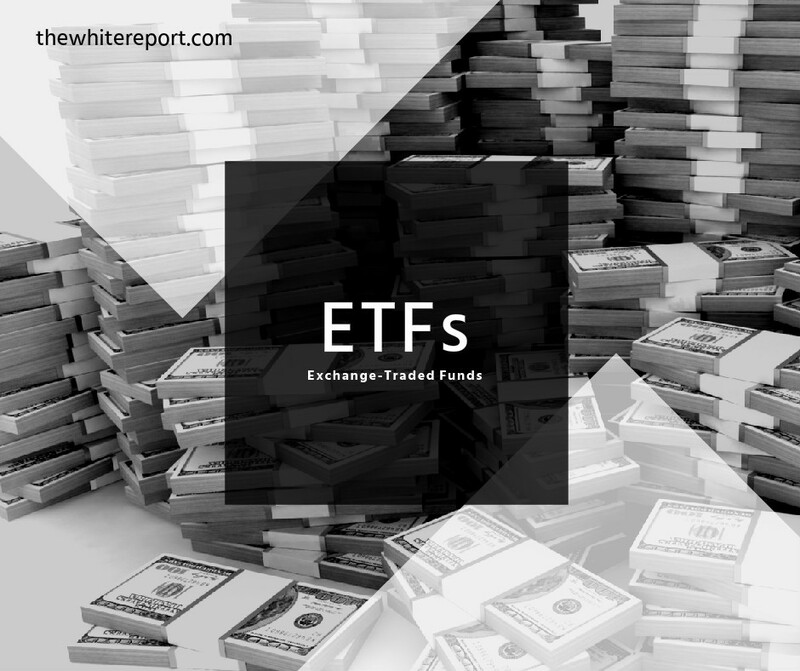 ETF stands for Exchange-Traded Fund. ETFs are similar to Mutual Funds in a since that it is a large pool of money or capital managed by a fund manager or brokerage firm. The fund manager or firm takes this pool of money to buy or sell different equities. These equities can be, but are not limited to various bond types, stocks, commodities, derivatives ect. The gains or losses are distributed amongst everyone that has contributed to the fund via purchase of the ETF on the stock exchange. ETFs and Mutual Funds both have management fees. These fees are called expense ratios. ETFs are publicly traded on the NYSE during trading hours. An ETFs value is based on what the ETF is trading at during market activity throughout the day. Mutual funds can be bought and sold after the market closes. The value of a mutual fund is based on the closing price of the equities the fund contains. How does it benefit me? Picking individual equities is extremely risky, it takes a lot of time and research. When you invest in a ETF or Mutual Fund the firm manages the fund and buys or sells the funds equities based on qualitative analysis. They read annual reports, quarterly reports and analyze other performance metrics. The research labor is outsourced for a fee but you get the benefit of the fund managers expert knowledge. ETFs typically follow an index or a composite of many stocks. This means you have the opportunity to have a relatively diverse portfolio, with lower amounts of money. Also ETFs typically will not jump around as much as an individual stock. We have all heard the saying don’t put your eggs into one basket. An individual stock will be more volatile and is more influenced by individual factors. ETFs are more liquid than Mutual Funds. You can sell your ETFs in the same way as a stock during normal trading hours. This gives you greater access to your money. I don’t talk about ETFs as much or give them enough credit for my portfolio gains. ETFs are a way I personally hedge risk from my individual stock purchases. Which ETFs should I start looking into? When choosing an ETF you want something that is diverse, basically covering many different business sectors. You also want to check out the funds past performance. Also consider the management fees of the ETF. This is money that the firm will take off from the shareholders annually. Below are 3 attractive ETFs with relatively low annual management fees or what is commonly called expenses ratio. NYSE: VFH (Vanguard Financials ETF) tracks financial sector stocks, as includes stocks that have financial services. NYSE: XLG (Guggenheim S&P 500 Top 50 ETF) indexes the S&P 50. These are ETFs that I myself will be purchasing this year. They are worth investigating. I have attached a link so that you may due your own due diligence to see if these ETFs are right for your investment portfolio. I love the blog I thank you for informing & teaching. I will be on here frequently to stay updated and I appreciate what your doing ! © 2016 The White Report. All Rights Reserved.